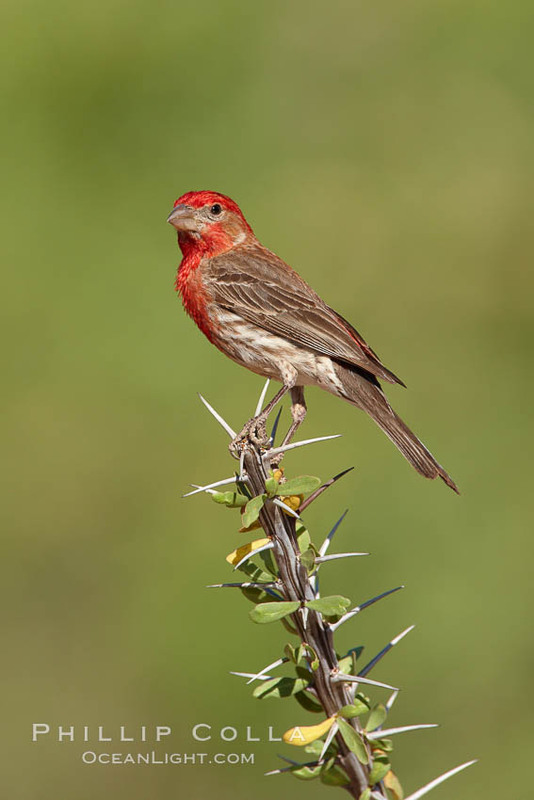 You might guess, given its name, that the house finch (Carpodacus mexicanus) is a common bird. Indeed, the plants around Bill’s place were covered with these colorful, twittering, hyper little birds. 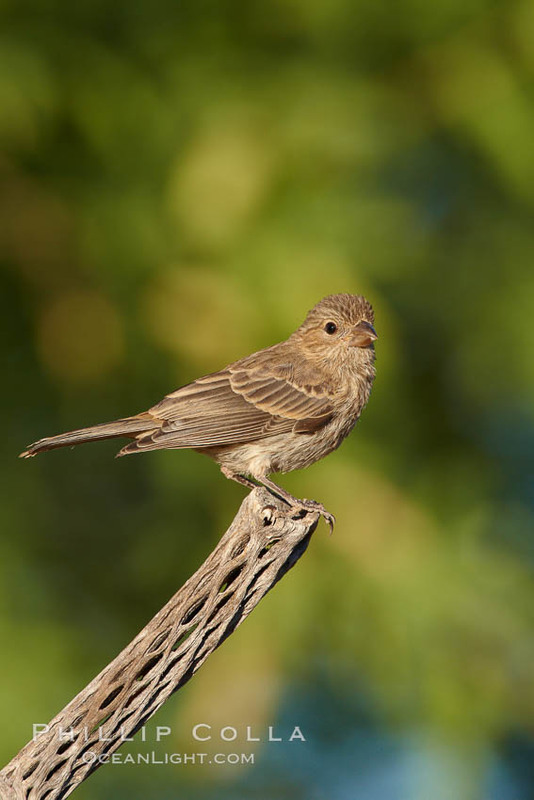 The males had great coloration, deep reds and oranges, while the poor females had to settle for brown and gray. Birders and bird photographers view the house finch as something of a nuisance bird, but I had a good time trying to get them to sit still long enough for a picture.